Like many of the North West’s most humble towns, Middleton was once home to a thriving textile industry during the industrial revolution. Here you will find grade listed mills, many converted for modern uses and a town inhabited by over 42,000 people. Situated in the borough of Rochdale on the River Irk, Middleton once acquired it’s name aptly due to being ‘in the middle’ of Rochdale and the city of Manchester. And to this very day, Middleton is ideally located in the North West with brilliant access to larger towns and major cities. At first glance, Middleton does appear to be a ‘typical’ Lancashire industrial town, however once you explore it you soon find out this little town is a true gem of the region. Home to some fantastic pieces of history, you can find some magnificent tudor buildings within the town including Tonge Hall and my personal favorite, the Boars Head Pub – with a pub like that in the town, I only see Middleton as a truly fitting place for Hog Roast Middleton to be able to provide some delicious hog roast feasts for the people here. If you are looking for a caterer for your event in the Middleton area, look no further. We can assure you that we are not just any hog roast company, we are professionals in the field. We have a combined experience of over 20 years, providing catering for a whole manor of events. Everything from small, private parties to huge corporate business events with hundreds of people! You would be surprised at just how many people one of our large pigs can feed! What an amazing way to get people together and share this delicious feast. We have specialist knowledge in the art of spit roasting and would love the pleasure of feeding your hungry guests at your event! No matter your party size, desires and preferences we can arrange something to suit you. It is so important for us to be able to work collaboratively with you as the host to ensure we can adapt ourselves to your needs. 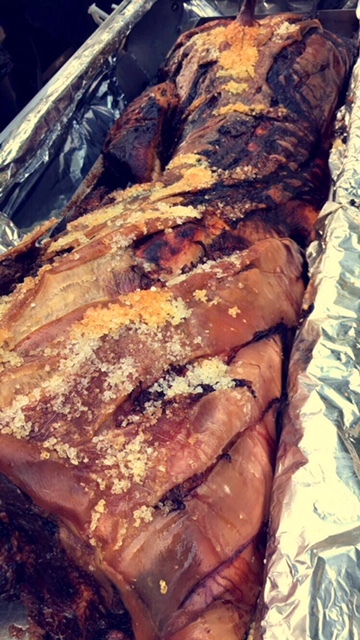 The next time you’re planning something special, remember our expert team here at Hog Roast Middleton!